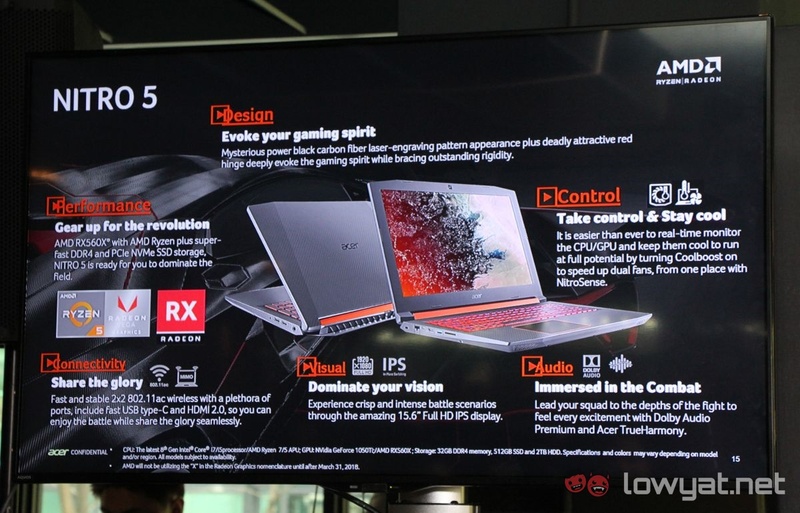 A new Acer Nitro 5 popped up during AMD’s Ryzen Mobile notebooks launch in Malaysia yesterday. Jeffrey Lai, Product Manager for Acer Malaysia, very briefly showed mentioned an AMD-powered Nitro 5 during his presentation. Reminding us that it was supposed to happen. 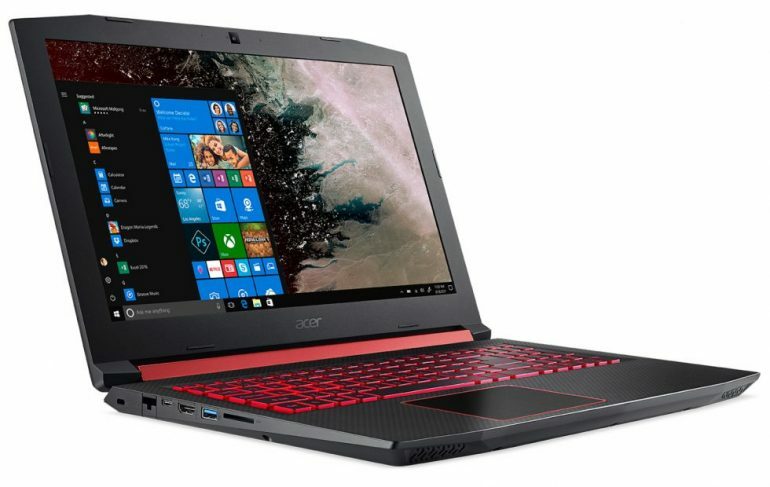 The entry level gaming laptop will not only host an AMD Ryzen Mobile APU (either a Ryzen 5 2500U or a Ryzen 7 2700U), but also a Radeon RX series GPU too. Specifically, an entry-level Radeon RX 560. Additional hardware specifications include a a 256GB PCIe NVMe SSD, up to 8GB of dual-channel DDR4 memory with a maximum frequency of 2,400MHz, a 15.6″ Full HD IPS display, and a 2×2 802.11ac antennas. 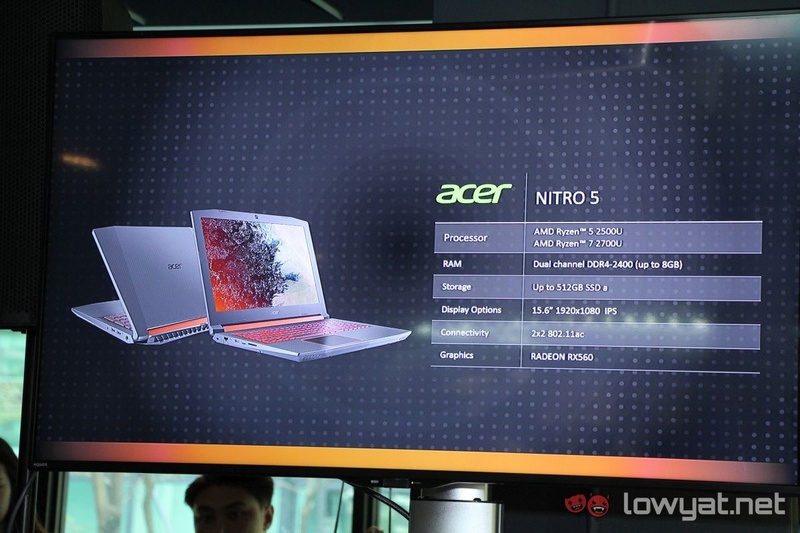 Unfortunately, Lai didn’t give an exact date as to when Acer Malaysia would be bringing in the Nitro 5. Back in CES 2018, the company announced that it would be making an AMD-variant of the gaming notebook, stating that it would house AMD’s Ryzen processors. It mentioned that the notebook would house a Ryzen processor, but fell short of specifying the variant. Needless to say, the presentation definitely gave us a little more insight. Update: We’ve now been informed by Lai that Acer will be bringing in the AMD-powered Nitro 5 either by the end of this month, or sometime nearing the end of April. 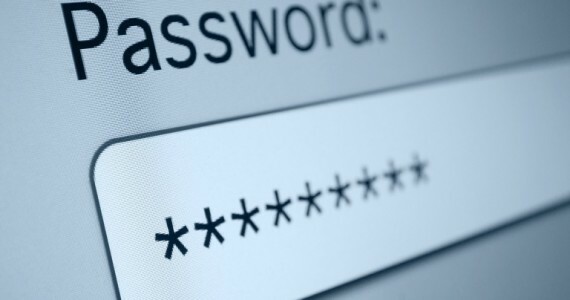 There is still no word on the official pricing of the notebook.